"A Turbulent Takeoff for a Show with Vast Skies of Potential"
All things work together for good. That seems to be the mantra, repeated multiple times, by characters in the pilot of NBC’s new drama Manifest, and that slightly edited biblical line seems to resonate for only so long before viewers are forced to wonder: whose definition of good? And, perhaps more importantly, will the show itself work out to be good for those of us looking for appointment television? Manifest follows a group of passengers on a 2013 New York bound airplane, Montego Air Flight 828, who encounter sudden turbulence and have a few frightful seconds in the air before the plane stabilizes and seemingly heads to its destination. The trick here, is it’s no longer 2013 and it’s now 2018. Five years have impossibly and inexplicably passed, and in that time life has gone on for the rest of the world. While the passengers were “presumed lost,” some of their loved ones back home have given up on them. So nothing else can ever be stable for these survivors of the “story of the century” that has the whole world guessing how and why such an event occurred. And that’s where the fun begins. Or is supposed to begin. The pilot seemed to trade the possibly for fun for an opportunity to dwell on mundane family drama. At the heart of the show seem to be the Stone Family. Ben (Once Upon a Time’s Josh Dallas) is a dedicated father who was flying with his very sick child Cal. 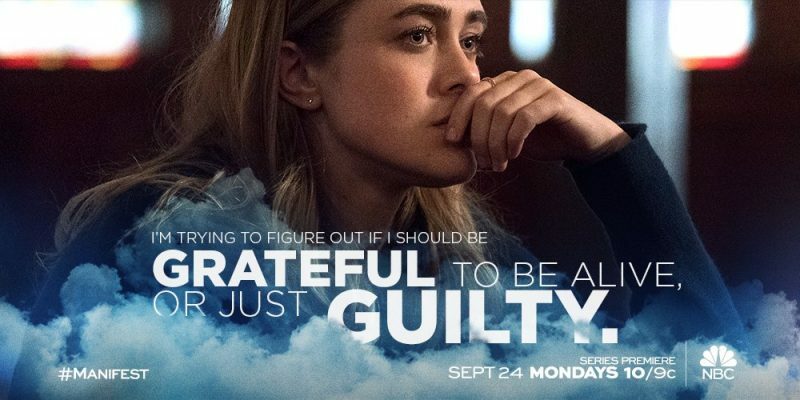 Ben’s sister, Michaela (Melissa Roxburgh), just days away from a mysterious tragedy she believes she caused, is also on the plane and is a police officer dealing with a few of her own early-life crises both before and after the mysterious “flight” will shake up her life. (And I must risk a side note here-- NBC already had one famous dramatic character named Ben Stone--the original assistant district attorney on Law & Order--and it seems sacrilegious to have a second Ben Stone on a drama, even if it is 20 years later. Didn’t anyone catch this at NBC?) Dallas and Roxburgh are well-cast to pull off their respective lead roles. While often stiff on Once Upon a Time, here Dallas plays a confused but caring father quite well. He is as calm and composed as he can be, while still showing the necessary cracks of uncertainty and hesitation. Yet there is a weathered determination in his desire to keep his family together despite the fact that one of his twins was on the plane and the other wasn’t--so he’s missed five years of her “growing up” and must also reassess his own marriage, since his wife has likely also partially moved on. Equally interesting is the emotionally unstable Michaela. Roxburgh plays the character with an inherent vulnerability, but still infuses her with grit. She returns only to find that her fiance, Jared (J. R. Ramirez), has moved on and married her best friend. Naturally, Jared is a police detective, meaning Michaela still must navigate their working relationship along with the apparent demise of their romantic entanglement. The interactions between Michaela and Jared are sure to be something viewers are sure to look for in coming episodes. There are other plot threads too. The medical researcher Saanvi (Parveen Kaur) whose research was theoretical now leaves the plane to find it saving children’s lives--and the next one might be Cal Stone. How will she navigate her role as medical researcher helping oversee a study she cares too much about? And will being on the plane somehow change her? And we only assume we’ll follow other characters on a guest-star basis as the show continues. Is it Lost? Early Edition? Touched by an Angel? Field of Dreams? Person of Interest? This is Us? The 4400? The biggest problem may be it’s a mash of all of them. And while it makes for entertaining TV, you get the feeling it could be a lot more and desperately needs its own identity. Strangely, the pilot seems to be a bit most like a show very few people remember: Early Edition, a 1996-2000 show set in Chicago about a man who got a newspaper delivered a day early (often with a meowing cat) and always tried to stop bad things from happening. In the the pilot of Manifest, a similar theme takes place, albeit a bit unknowingly and sans the meowing cat. Manifest feels shaky because it tries to be coy about where it may or may not go, but instead just comes across as boring in some stretches and awkward in others. Still, Manifest has one absolute thing going for it: the concept is strikingly good. Because this is a spoiler-free review, I won’t reveal the supernatural elements involved in the pilot, but there are some (all too predictable, plot-wise) but at least those added suspense. Yet, this is precisely the very nature of the almost unlimited possibilities in a show like Manifest that can make us hopeful. How will these “survivors” react psychologically? Morally? How much are they in control of the situation or is there a greater force controlling them? There are really some fascinating places the show’s creators can take us. Yes, shows like Lost have done this and may have done this better, but it’s unfair to compare this to Lost. It needs time to find its own way and grow. Call me an optimist, but I do believe the show will work out its inconsistencies when it comes to character and plot and hopefully create compelling reasons to not just watch but to be afraid to step out of the room for a single minute. The idea about a show with 190+ survivors means there are endless characters and conspiracies and possibilities (like Lost, with the front and tail survivors having massively different stories to tell). But already it’s clear what this should be not: A show about family. NBC already has This is Us. While certainly family life should be embedded into the show, the winning formula for Manifest involves mystery and intrigue. Whether caused by forces we can control or can’t--let’s figure those forces out. Let’s see more about the science, the paranormal, the heavenly, the otherworldly--because if we turn this into a police and family drama, countless other television shows do this. And they do it better. Equally important--and what I’m less convinced they will address quickly--is whether or not the writers will settle on a distinctive tone for the the show. Is it a show about doing good, like the press material from NBC suggests? About a vast conspiracy theory regarding what caused the plane to go missing? Will the government be evil? The problem with the show is that the show wants to be Touched by an Angel and The X-Files all in one, but plays out like a creative writing script from someone who should have taken a nonfiction class because he or she has trouble being, well--creative. 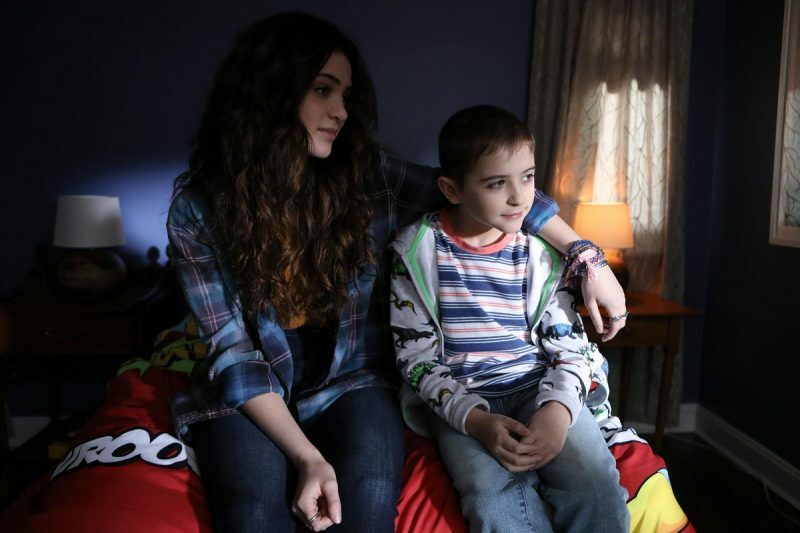 The opening narration of Manifest tells us it's funny that a little decision in life “can ruin it” but also “save it.” While it’s too early to give a final verdict of whether or not Manifest will be a hit or even if it will be genuinely good, that seems to be a litmus test for the writers as the season progresses. The decisions they make need to be aggressive and bold. They need to be original and creative and daring to make the concept snap and sing. This show can indeed be good--let’s just hope they give viewers a drama where we are grateful for these “second chance” passengers and not one where we wish they had stayed missing. What a great concept. So much potential. Writers: use it. Too much family drama. We get it. They care. They're cute. Enough. Predictable police drama. It's not a police show. Remember that. Rather boring for something that shouldn't be. Show should embrace its creativity and Sci-Fi concept.